It’s simple. It’s good for you. 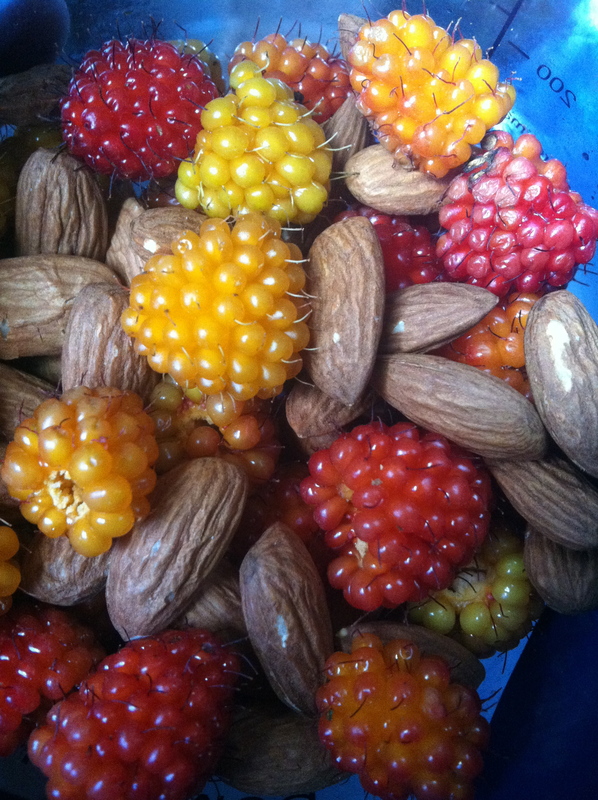 “Pacific Northwestern Nuts n’ Berries” will also get you out in the woods. What is a Salmon Berry? It’s a clustered berry that looks like a raspberry, but comes in reds, oranges, pinks and yellows and isn’t as tart. They grow all over the Pacific Northwest from Washington to BC and into Alaska and you can usually find them from June until September. So, this mix is kinda regionally specific but hope you enjoyed checking it out.